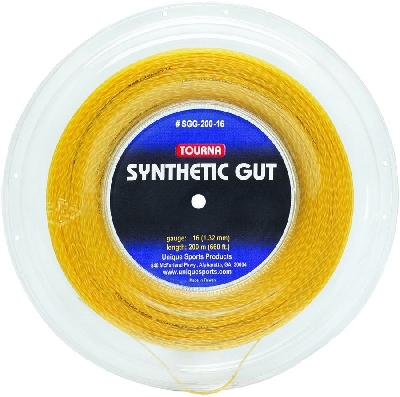 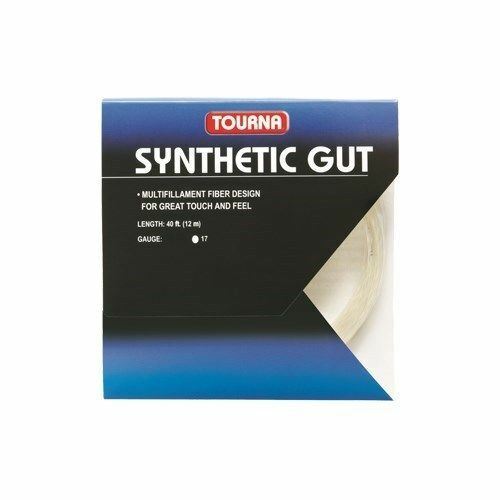 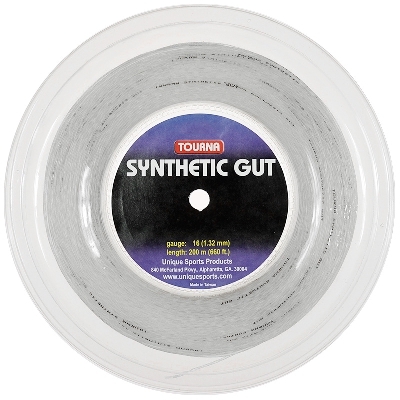 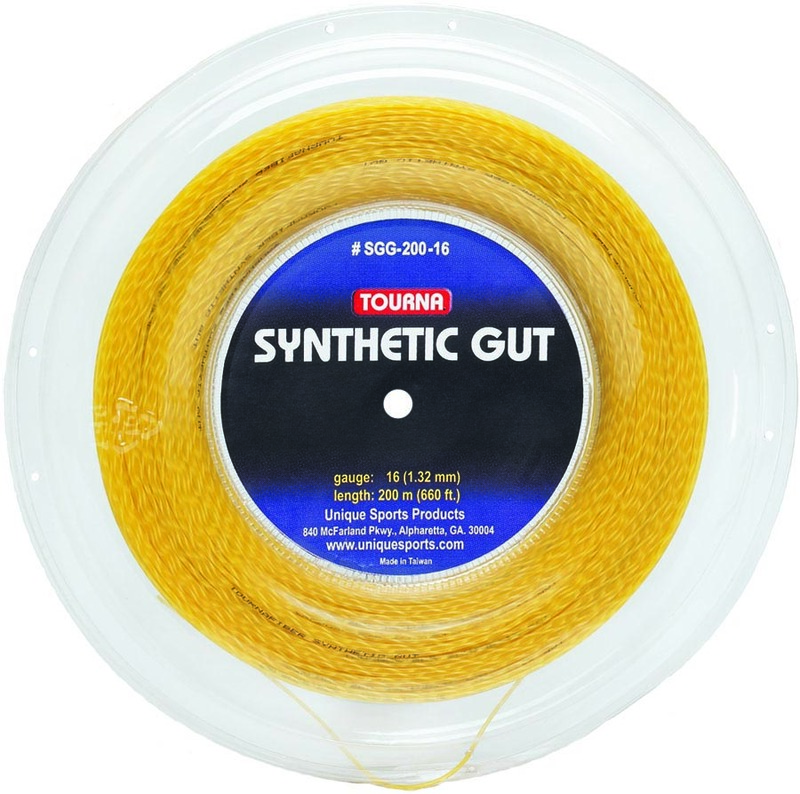 Tourna Synthetic Gut is made of multifilament fibers are wrapped between a high tenacity center core and a DuPont Nylon outer wrap. 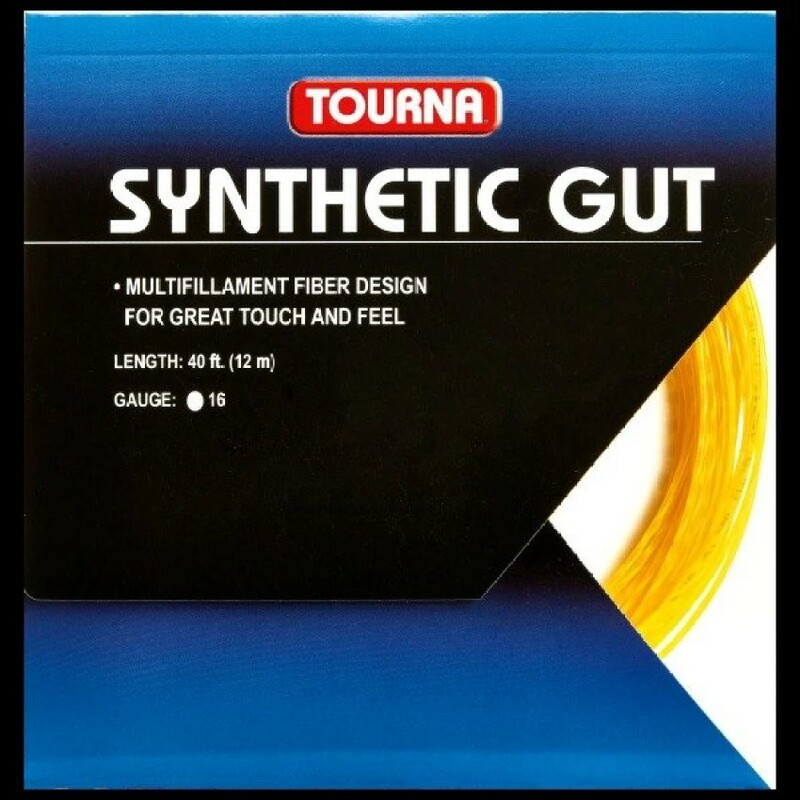 A proprietary resin is used to blend the fibers, giving a very elastic feel that imitates natural gut while offering excellent durability. White or Gold Colors.